Joseph Veronneau was born in Terrebonne (Quebec) in 1765, the son of Francois Veronneau dit Denis and Maria Garault. At the age of 32, he married Francoise Levac in nearby Les Cedres. I have not been able to locate his death record, but we have a rough time frame as his last child was born in 1813 and his wife Francoise re-married in 1838. 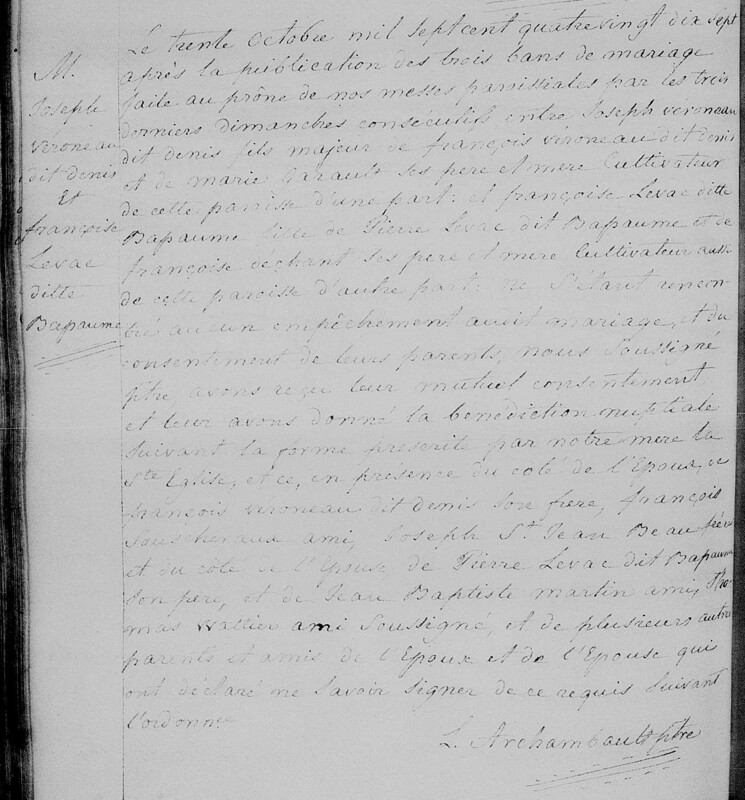 1765: Joseph Veronneau baptism in Terrebonne. 1797: Joseph Veronneau dit Denis and Francoise Levac dit Bapaume are married in Les Cedres, near Montreal, Canada.